While speaking during a colloquium to mark the 50th anniversary of the creation of Kwara State, popular Lagos lawyer, Femi Falana, advised the Acting President not to sign the 2017 budget. A human rights activist, Femi Falana (SAN), has advised the Acting President Yemi Osinbajo not to sign the 2017 budget because it was illegally increased by the National Assembly, Punch newspaper reports. He also said that President Muhammadu Buhari is not competent to sign the appropriation bill into law because he is on vacation. Falana spoke in Ilorin, during a colloquium organized by the Movement for Genuine Change to mark the 50th anniversary of the creation of Kwara State. He explained that once Buhari had transmitted a letter to the National Assembly that he was proceeding on vacation, all presidential powers had automatically been transferred to Osinbajo who is now the Acting President. He stated that until the President writes another letter to the federal parliament at the end of his vacation, he cannot exercise the powers of his office. 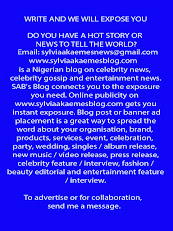 Falana said, “The President is not competent to sign any bill into law while he is on vacation. The constitution did not envisage that a President who is on a vacation and an acting president, who is standing proxy for him will be exercising presidential powers simultaneously. “To that extent, pending the resumption of duties by President Buhari, the Acting President, Prof. Osinbajo, is competent to sign all bills validly passed by the NASS. “If President Buhari did not exercise powers during his vacation even though he was in the country, why would he want to do so while he is on medical vacation abroad? “Instead of dissipating energy over the competence of an appropriation bill signed into law by the Acting President, Nigerians should subject the 2017 budget to scrutiny. 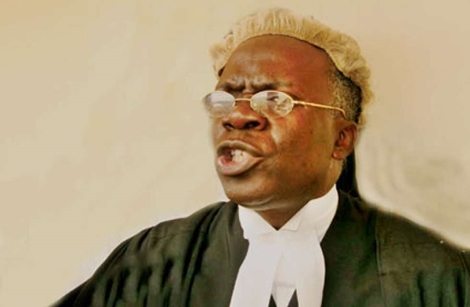 Falana also explained that the National Assembly has no constitutional powers to increase the budget presented by Buhari, adding that the legislators erred constitutionally by increasing their share of the budget. He also said the debate over Buhari’s medical vacation should henceforth center on the urgent need for the Federal Government to equip hospitals across the country. The Senior Advocate of Nigeria condemned any attempt to truncate Nigeria’s democracy and urged Buratai to properly investigate the coup rumor and prosecute the culprits. He said, “The enemies of democracy are desperately trying to exploit President Buhari’s ill health to truncate the democratic dispensation. “Notwithstanding, the glaring shortcomings of the fragile democratic process, the people should be allowed to take advantage of the democratic structures to take their political destiny in their own hands. On their own part, the political class should stop playing into the hands of potential coup plotters. The human rights activist lauded the establishment of interest free banks, adding that those who are opposed to it should rather establish their own interest free bank. He stated that interest-free banks would compel commercial banks to reduce their interest rates on borrowers. He also lamented the abject poverty in the country and called for better economic blueprint and management that would boost the economy. He urged the Federal Government to stop releasing funds to state governments which are unable to account for the bailout funds and London/Paris Club loan refund made available to them to fund the payment of salaries of workers and other developmental projects. He said the anti-graft agencies have a duty to investigate and bring to book those who were alleged to have cornered and diverted the public funds. He called on labor unions to ensure that the funds were fully accounted for as it was meant to alleviate the sufferings of the working people. An Afenifere leader, Chief Ayo Opadokun, who also spoke on the occasion, agreed with Falana that the National Assembly had no right to increase the budget.